Located just west of midtown, in the Westside Provisions District, is Steven Alan Atlanta. Of course, the neighborhood's got great shopping but it's also known for some of the best restaurants in the city and has been called the new arts and design district. There's a lot going on from coffee spots and bookshops to restaurants and bars. We're happy to be smack in the middle of it, surrounded by all of our favorite Atlanta haunts. 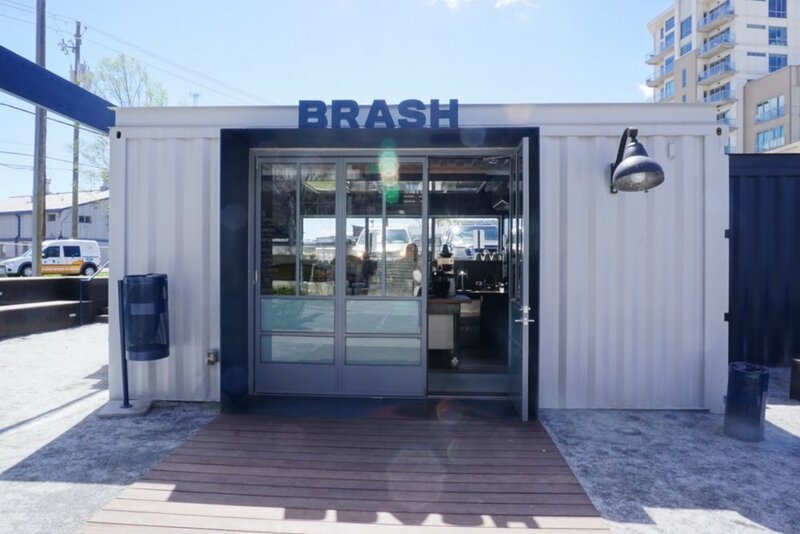 Brash Coffee | 1168 Howell Mill Rd. This coffee shop is made out of a shipping container! It's an every-single-day stop for us when we're on our way to work. Our favorite dinner spot in the city. It’s farm-to-table, uses all local produce, and is just so beautiful. The head chef, Steven Satterfield, has also just received his 5 James Beard nomination for best chef in the southeast. Little Trouble | 1170 Howell Mill Rd. One of our favorite bars. It probably helps that our store's employee entrance is directly connected! You'll spot at least one of us here on any given night. Yeah Burger | 1168 Howell Mill Rd. A go-to lunch spot (especially the day after a night at Little Trouble!) They've got vegetarians covered with their awesome veggie dog (extra arugula is a must). And finally, if you can only make it to one place on the list, come on over to the shop and say hello!